When choosing Sydney Tree Removals you can be confident that you are picking a reputable and certified tree removal service in the Cattai. We are fully insured, our staff are all trained and experienced, and we refuse to remove trees illegally or dangerously. 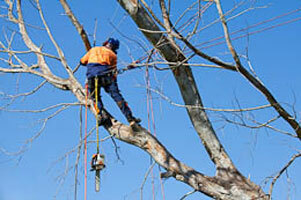 We are the tree removal professionals for the Cattai and throughout Sydney. 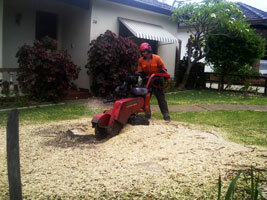 Tree stumps can be difficult to remove and that is why we offer a tree stump grinding service for the Cattai of Sydney. If there are electrical, water, gas, or other services running near your tree stump using a stump grinder may not be the most suitable option. We also remove stumps manually, or through a chemical treatment. Some of the tree services in Cattai that are offered include stump grinding, tree removal, branch removal, palm pruning, mulching and wood chipping. We also offer other arborist services in Cattai such as arborist reports and advice. When organising your Cattai tree service we can arrange to leave you fire wood, mulch, or wood chip if you desire. Just let us know when you are requesting your free tree pruning or tree lopping quote. We can also deliver mulch to Cattai from other jobs that don't want it.